Canby resident involved in fatal crash near the town of Monitor in rural Clackamas County. Oregon State Police are investigating a three-vehicle crash that left one motorist dead in rural Clackamas County. Troopers responded to Highway 211 near milepost 3 around 5:45 p.m. on Friday, Jan. 18, according to a news release. Officers believe a southbound Honda Accord "lost control" and slid sideways into the oncoming lane. 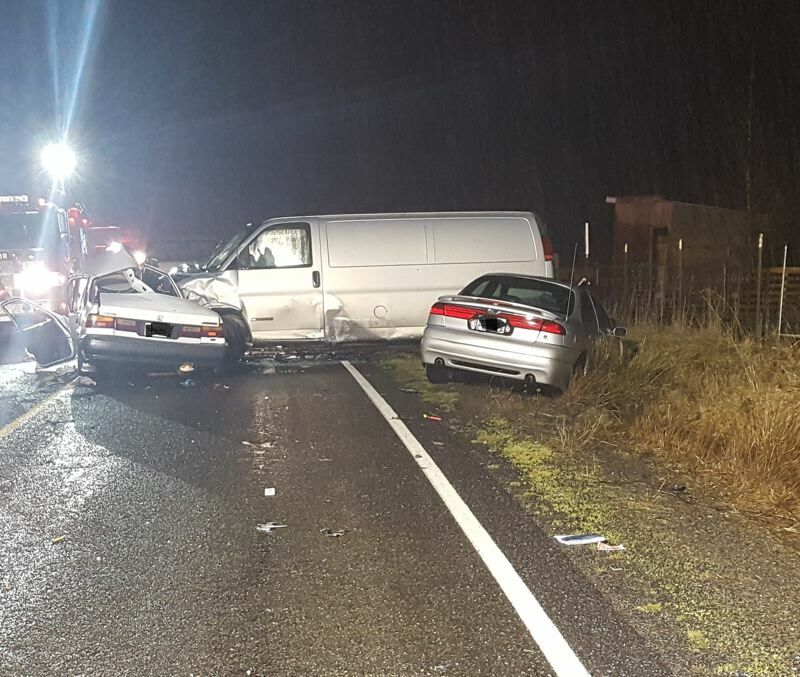 A northbound Chevrolet Van, operated by 27-year-old Canby resident llia Burigin, was unable to avoid a collision. Seconds later, a Ford Contour driven by 28-year-old Mulino resident Steven Furlow hit the two crashed vehicles. The driver of the Honda, who has not yet been identified, died at the scene. The other two drivers were not taken to hospitals for treatment. "There was heavy rains in the area at the time of the collision," police say. "OSP was assisted by the Monitor Fire Department and ODOT."